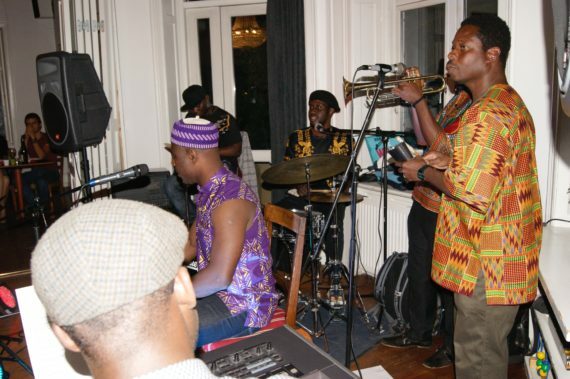 Brekete Sounds, a group comprising Ghanaian musicians based in Denmark last week made a bold appearance at the Copenhagen Jazz festival with a gripping performance. 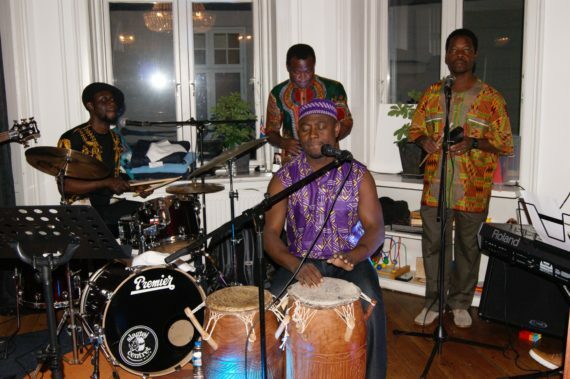 With a cool blend of highlife and jazz, the group filled Café Cadeau, which is located in the Frederiksberg area of Copenhagen, with graceful highlife rhythms thereby turning the concert into a mini Ghanaian festival. 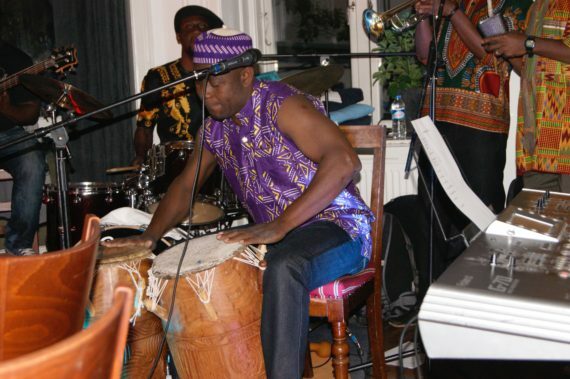 Employing compositions from bandleader and percussionist Sam Tachie, the group sent the audience on a smooth journey to a village where traditional Ghanaian rhythms, beats, songs and proverbs flowed in a constant stream. Alongside talking drums, kpanlogo, donno, bells, rattles, guitar/bass guitars, trumpet and keyboard, Brekete Sounds proved the fact that Ghanaian highlife is making a strong revival in this era of electronica, as the audience simply immersed themselves in the refined rhythms emanating from the stage. 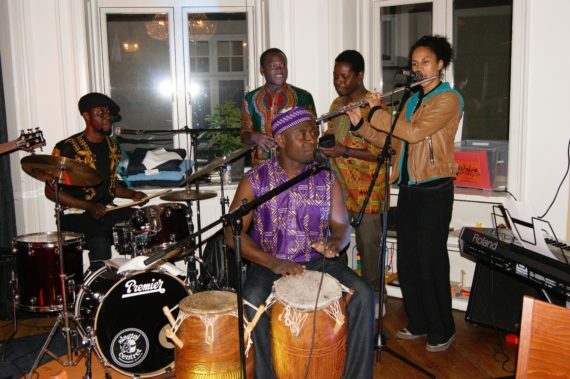 “It’s great to hear highlife dramatically fused with jazz and other rhythms – there appears to be some kind of a renaissance with highlife – it’s been a great evening and I look forward to seeing the band on stage soon”, said Fredrik Larsen, a lawyer in Copenhagen. 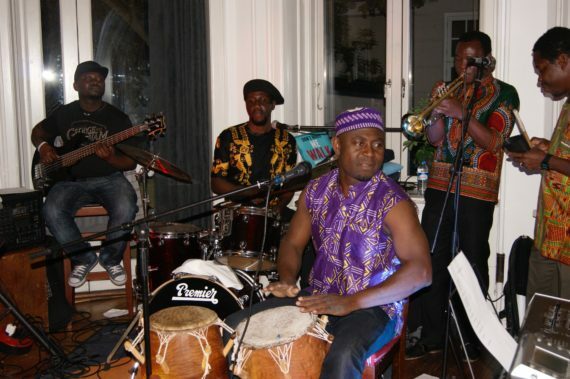 “It was a memorable concert – I am delighted to see a Ghanaian band performing at the jazz festival. 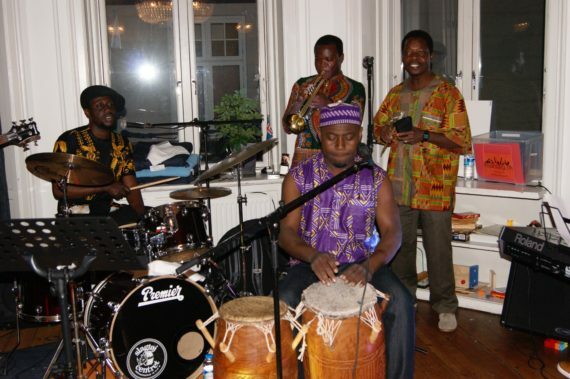 I enjoyed the rhythms from the percussive instruments”, continued Merethe Larsen, a retired nurse from Albertslund, near Copenhagen. 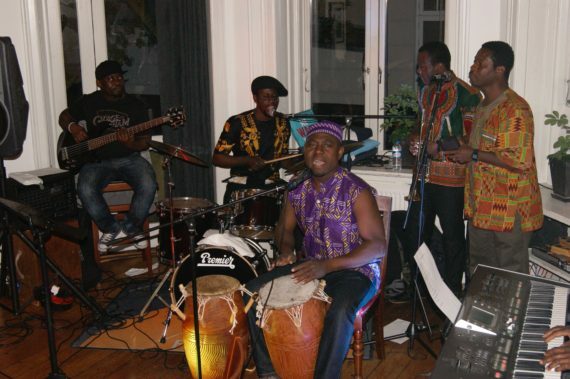 With songs unfolding in strikingly paced arrangements with controlled intensity, the Brekete guys churned out iconic dance sounds that equally caught the attention of the crowd who responded with steps on the dance floor. 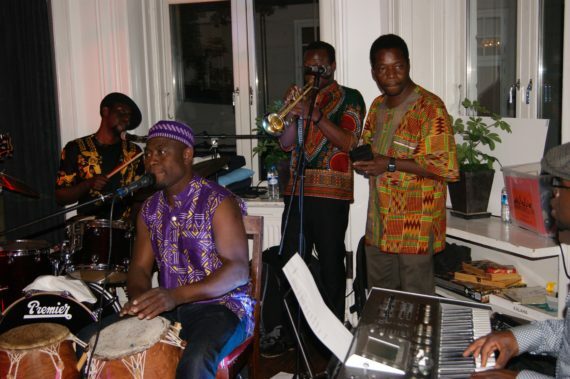 Also on stage was the Belgian / Ghanaian flutist, Esinam Dogbatse who enchanted the audience with a variety of sounds laced with Ghanaian traditional rhythms. 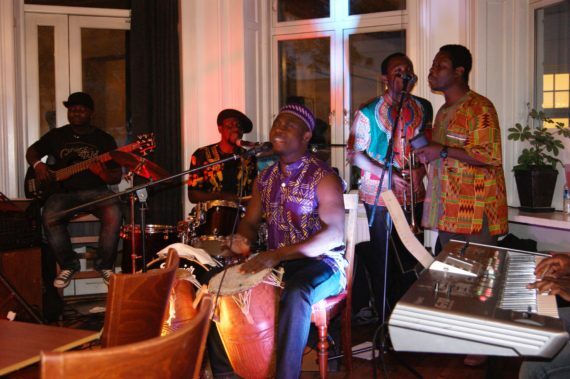 Brekete Sounds is an Afropop ensemble that digs deep into the roots of Highlife music while fusing Ghanaian traditional rhythms with elements of Afro-Jazz, Afro Beat and Afro Reggae to create a new synthesis. Great stuff, I can really feel the vibe, nice one John. I would like to be here to play with your high life band ! Happy to see you and happy to see that Esinam joined you ! 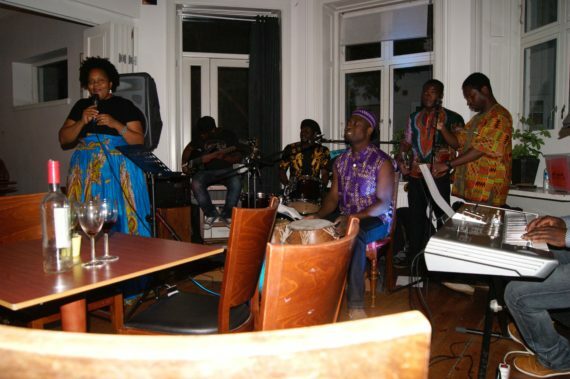 The group filled Cafe Cadeau, located in the Frederiksberg area of Copenhagen, with a graceful blend of highlife and jazz rhythms thereby turning the concert into a mini Ghanaian festival.